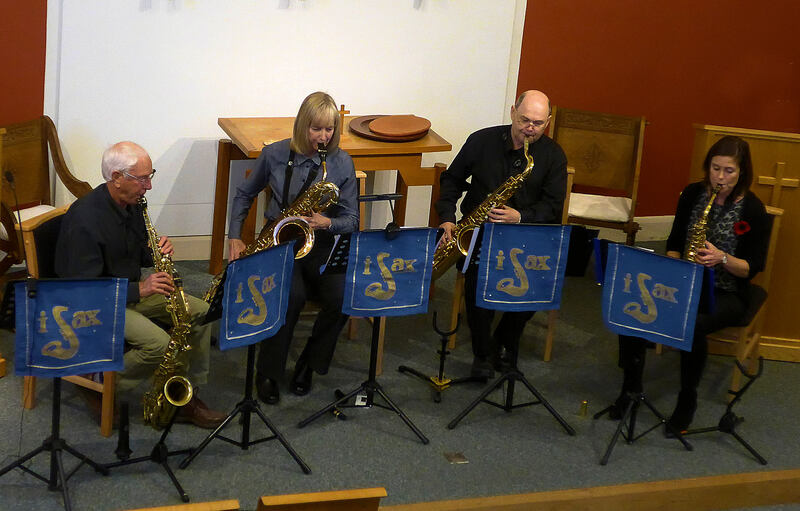 If you like the look/sound of iSax then why not come along to one of our Concerts? 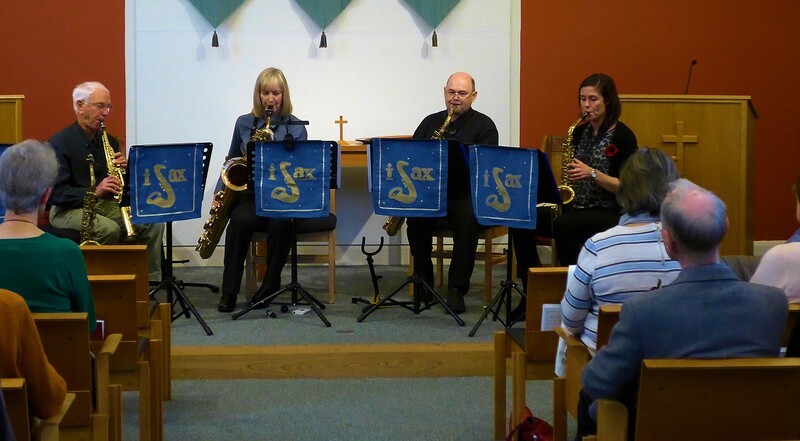 Introduction - iSax is a saxophone quartet. That's 4 people playing saxophones of various shapes and sizes, namely soprano, alto, tenor and baritone. We play a variety of music in a whole range of styles. Bach to Beatles, Gabrielli to Gershwin, Shearing to Shostakovich. 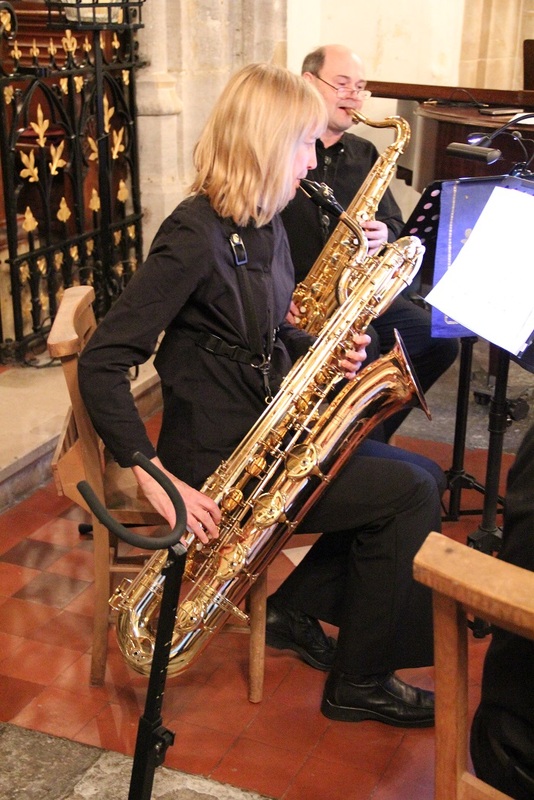 We especially like baroque and renaissance music which goes well on saxophones. Carols and Christmas music are popular too and pop songs and standards also feature. Our presentation entitled "everything you wanted to know about sax.... but were afraid to ask" is a musical journey from ancient times to modern, highlighting the versatility of the saxophone and featuring compositions by A. Nonymous, William Byrd, Michael Praetorius, William Boyce, WA Mozart, Lennon and McCartney, and as many others as we can fit in. It should be fun. "a huge thank you for such a wonderful concert today." "I was amazed by the range of sounds you all got from just four instruments." "a great programme with that musical journey from medieval times through to the present day. The links were great too, very funny." "Your playing is superb! Such togetherness and sensitivity in phrasing and dynamics." 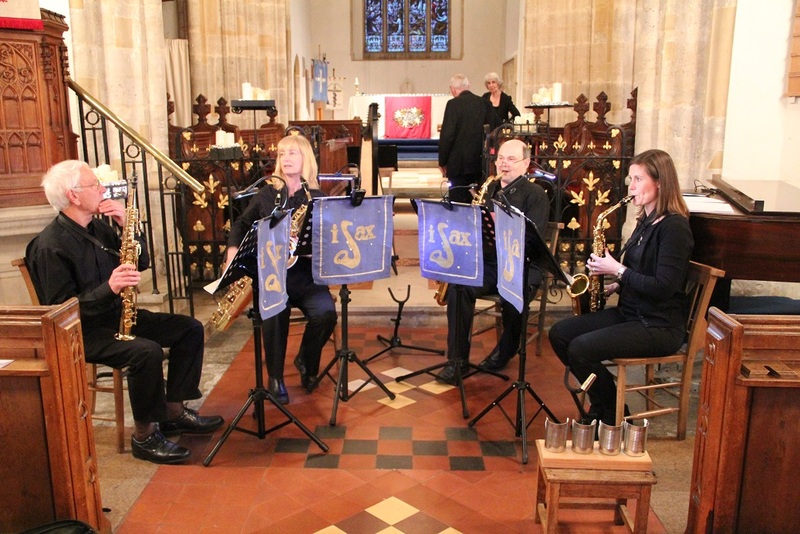 "The audience were bowled over – we had so many positive comments and happy smiling faces." 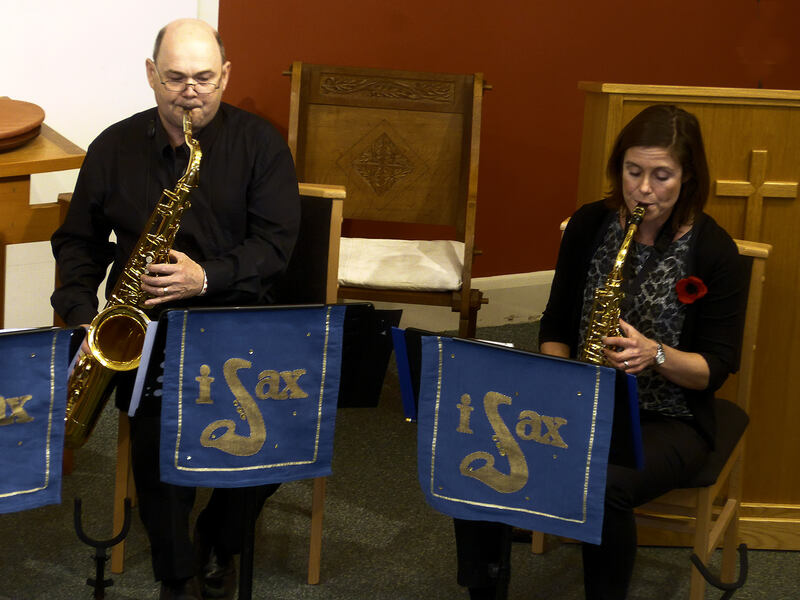 "Thanks again, we’ve all enjoyed it immensely and we hope you’ll come back sometime soon,"
"With humour and warmth, iSax gave us an afternoon of music to remember and we very much hope to see and hear them again soon." "Thanks again for an afternoon of interesting facts and anecdotes as well as wonderful music." "You put together such a varied and enjoyable programme, interspersed with delightful snippets of information, which entertained and educated us." "You all played with care and sensitivity, the instruments blended beautifully and I couldn’t believe how many different genres of music suit the instrument. Hope to see you all back here again one day." "What a wonderful morning of music you gave us on Friday. 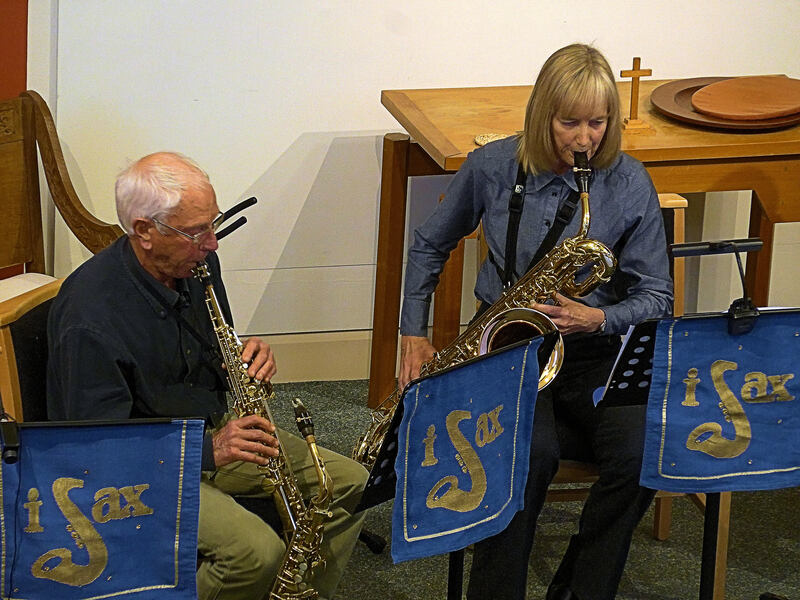 My members were really impressed by the range of music that you performed and the precision and subtlety of the group's playing. 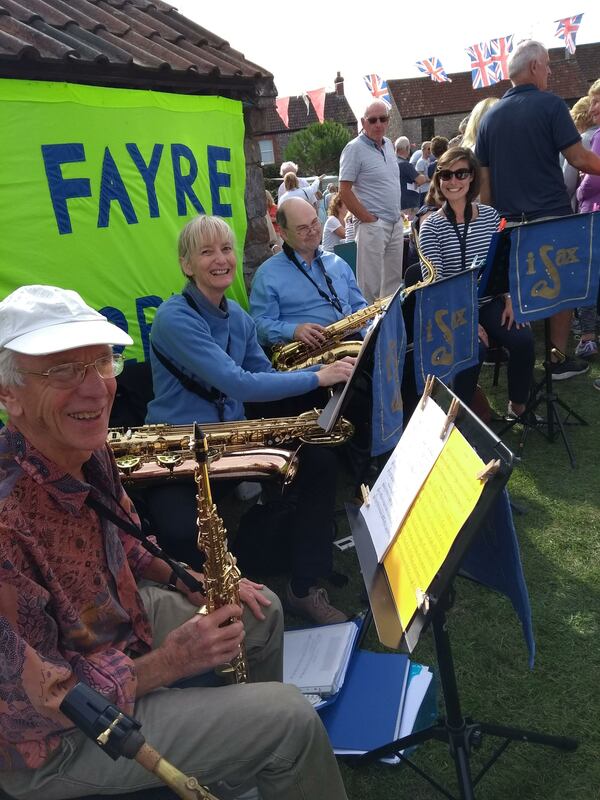 I think that it was a wake-up call to those who did not know a saxophone quartet and I am sure that they would like to hear you again in due course. " 26 November - 4pm-5pm - St. Mary's Church Thornbury (Sunday afternoon concert series).